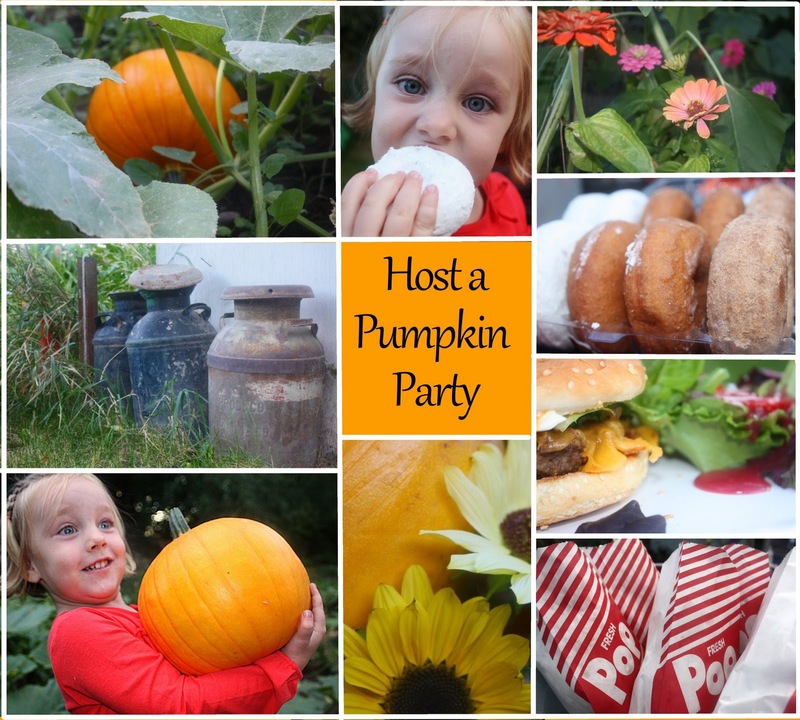 My mom hosted this super fun and fall-ish pumpkin party. 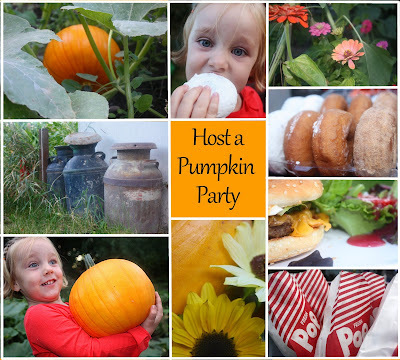 Not only was the menu complete with loaded hamburgers, fresh buttery popcorn, warm apple cider and donuts, but also the atmosphere was perfect: we had a picnic in the garden next to the pumpkin patch and corn stalks. If you aren't lucky enough to have your very own pumpkin patch (or know someone who does), find a local pumpkin patch and load up family and friends for a visit!